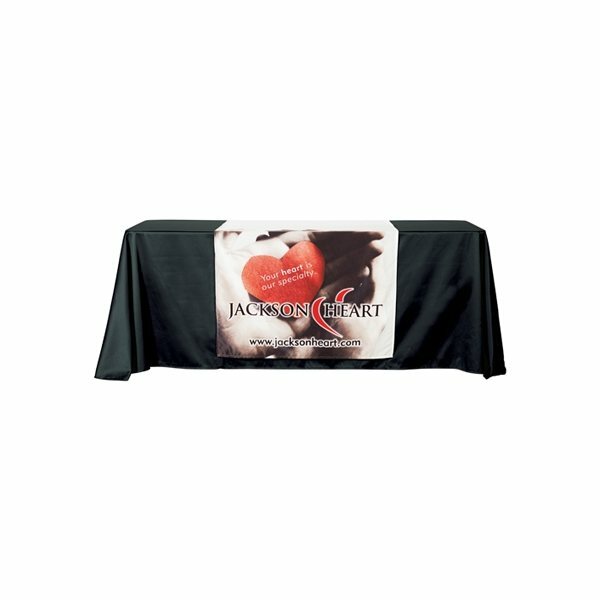 Brand your company, school or organization with a stylish full color table throw. With a snug fit to your 6 foot or 8 foot table, these table covers are great for outdoors or any type of event. Overall Reviews: WRITE A REVIEW (8)5.005Table Runner — 82" x 36"
Very big hit. I was very pleased with the quality of this item. Quality of product exceeded my expectations. Liked that it allowed me purchase small quantities. the back sacks I bought for the our students were very nice, high quality, fairly priced, and timely delivered. I am very pleased with the table runners I ordered. The look very nice and of good quality. I will be proud to have these at my events.